The Good Design Awards – awarded by the Chicago Athenaeum: Museum of Architecture and Design – represent one of the highest international recognition attributed to the world of design. 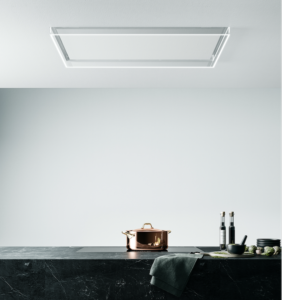 Among the winners of the latest edition, there is the Italian company Falmec, specialized in kitchen hoods, that has been awarded for three of its models: Spazio, Quantum and Alba. Also in the previous edition, Falmec received three awards for Drafts, Matter and Ocean. 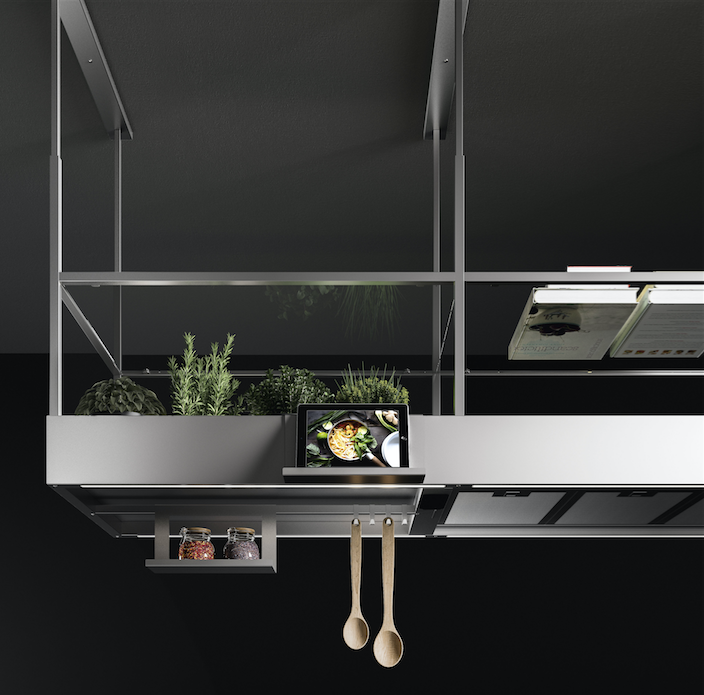 Designed by Francesco Lucchese, the Spazio hoods is characterized by elegant design consisting of an island-like structure composed of comfortable smoked glass shelves to store crockery and kitchen utensils, a channel equipped with hooks, USB ports and electrical sockets with ‘bottom view’ to recharge electronic devices, and a door support tablet that facilitates the consultation of various apps and recipe books. Furthermore, for this hood, Falmec provides as an optional accessory a small kitchen garden for the cultivation of aromatic herbs. 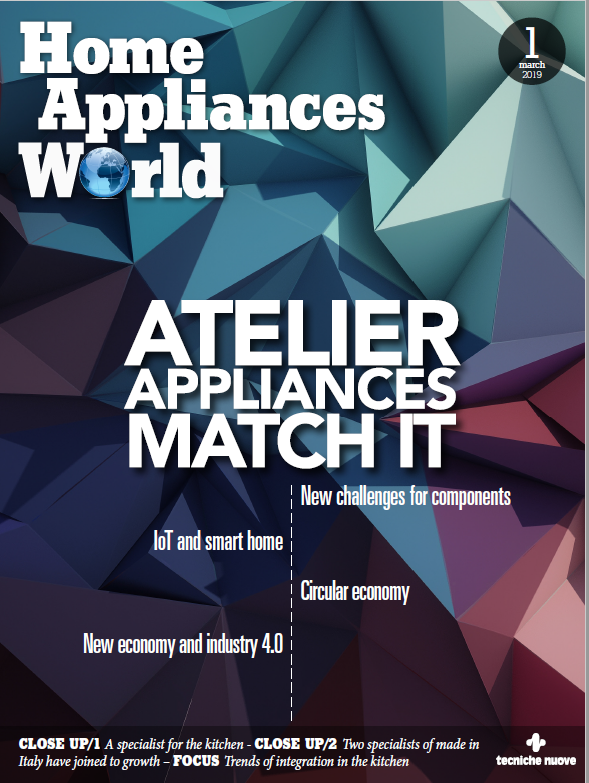 Quantum, instead, is the new system created by the Italian company, that combines the functions of suction and cooking, all in one body. The induction hob has a central suction unit equipped with flaps that open automatically during the operations, and close at the end of them, perfectly aligning to the hob. 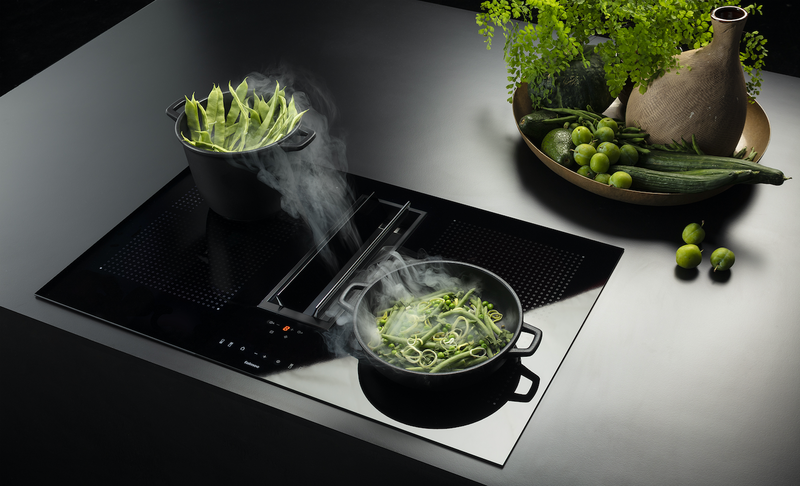 Quantum combines excellent cooking performance, thanks to the Flex Surface technology, 9 cooking levels, and ensures high suction efficiency and maximum silence, thanks to the brushless motor. 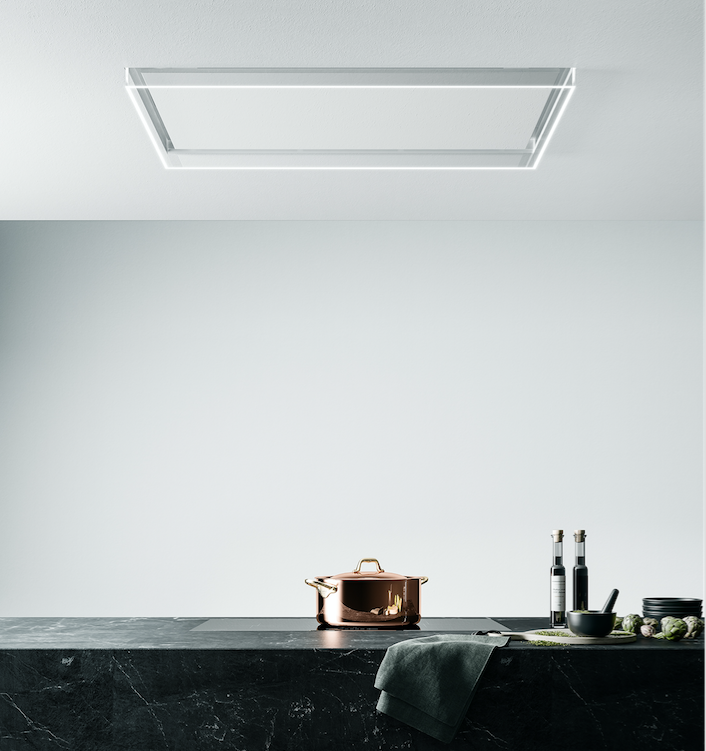 The Alba hood, finally, is the Falmec solution built-in the ceiling, ideal for those who prefer a minimalist and sophisticated style. The projecting frame, made of glass, draws a well-defined transparent line that lights up using a LED system that runs through the entire perimeter of the hood when in use. Alba is equipped with perimeter extraction and guarantees excellent functionality and extreme flexibility in the installation phase.